Recent release “The Alley,” from Page Publishing author Mingo Rubio Jr., is a unique and creatively written story of a young man who embarks on an adventure with a Chinese monk to save the life of his best friend. 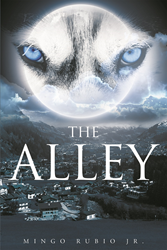 Mingo Rubio Jr., a gifted storyteller and devoted grandfather, has completed his new book “The Alley”: a clever and original story about a young man who witnesses his best friend being attacked by an impossible shadow creature and decides to set out to undo a terrible and ancient curse. Published by New York City-based Page Publishing, Mingo Rubio Jr.’s tale introduces a troubled young man, living an uncertain life since the loss of his father. Now at the age of fifteen, he discovers clues to the answers he has long sought. He couldn’t have known that this night, his life and the life of his best friend, Petey, would be changed forever. Petey is attacked by a horrible creature, and in turn uncovers an ancient curse. While Petey remains in the hospital hanging on for dear life, the young man is introduced to an old Chinese monk who holds the key to saving his best friends life. They team up to battle with the creature and unlock the secret to finding a cure for Petey before it’s too late. Readers who wish to experience this engaging work can purchase“The Alley” at bookstores everywhere, or online at the Apple iTunes store, Amazon, Google Play or Barnes and Noble.